Bring out the true diva in you and reinvent your true self. 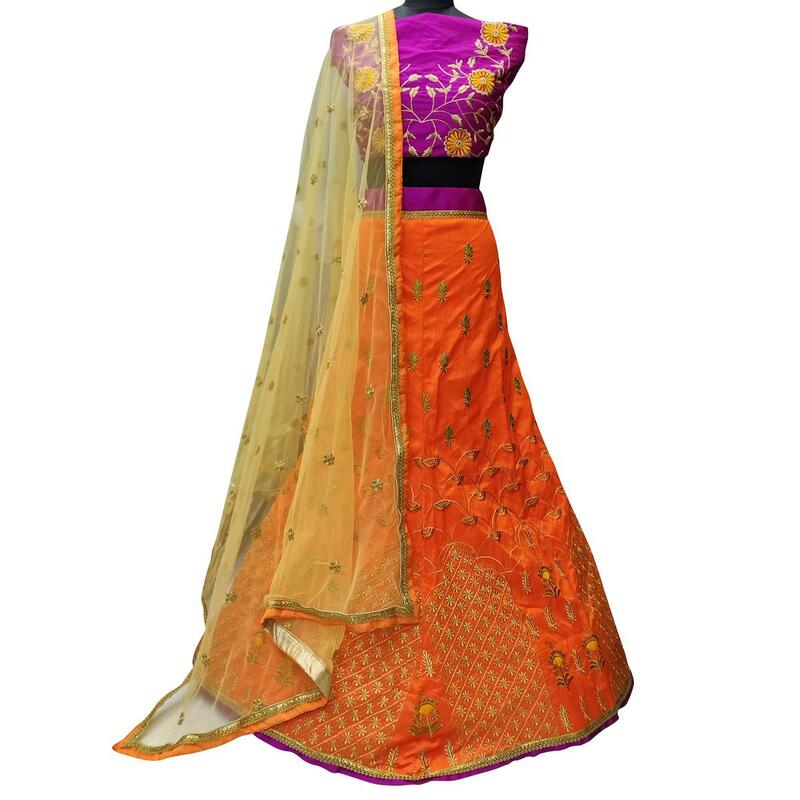 Be your own style icon with this jazzy orange colored wedding lehenga choli. 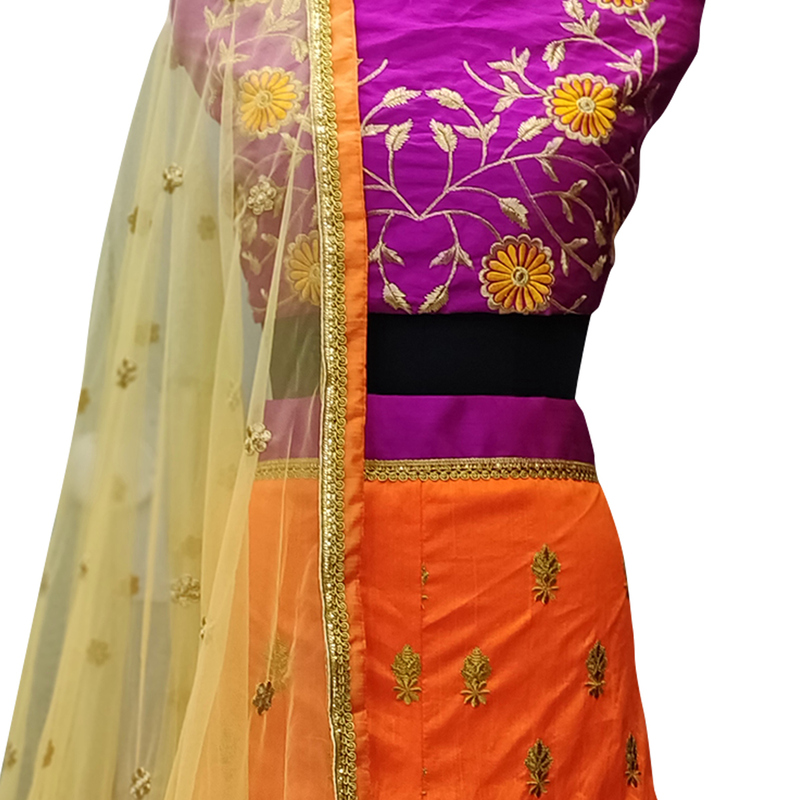 The lehenga is beautified with heavy embroidered work done on entire lehenga choli as shown.The lehenga and choli is made of banarasi silk fabric come along with mono net dupatta. The net dupatta has embroidered work that enhances the attire. Specially designed to wear in weddings, functions, engagements, ceremonies and special occasions. Teaming this dress with golden jewellery and high heels that would be an added attraction. Buy this beautiful lehenga choli now.